Sunrise on 09272016 on Santa Rosa Island in the Gulf Islands National Seashore. 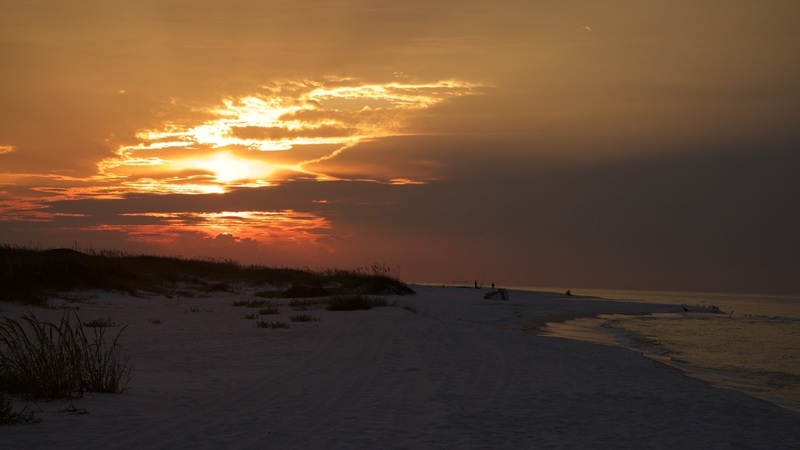 The Gulf Islands National Seashore is home to sparkling blue waters, white beaches and coastal marshes. However, more than 80% of the national park is underwater, as it's a vital protective habitat to marine life. We stayed here for 10 days at the Fort Pickens CG.